It is a dark and troubling time in which Inara has returned to the Alliance. The drums of war sound once again, yet it should not be so after all that has happened. Deathwing has been vanquished. Garrosh and his dark plans have been foiled, twice. Guldan, Archimonde and Kil’jaeden will never return and the dark titan Sargeras himself has been defeated. The Burning Legion is a threat no more! Still the planet was gravely wounded and both factions race to ensure the other side does not control the powerful substance they have called Azerite seeping through the wound. For years Inara worked hand in hand with both factions fighting together to overcome some of the greatest trials this world Azeroth has ever known. Years she has spent troubled and frustrated at her lack of progress in finding a way that peace may be possible between the factions. Years wrapped in the visage of an enemy she has grown fond of yet pities for their lack of will and condemns for their lack of self-direction. Yet on the eve of the next great tragedy to befall her people it is with deep relief and joy that Inara Wildeheart returns to the home of her people, to Darnassus in the majestic world tree Teldrassil! Upon arriving anywhere in the Darkshore zone one can hear the cries of the Horde as they flank Lor’danel. The Alliance tries with all their might to fend them off but it is not to be this day! 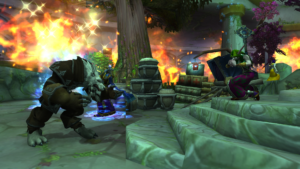 Malfurion falls to an axe in the back by the honourable Varok Saurfang who instantly regrets his actions. Tyrande arrives too late but spares him for not taking the life of her husband. Seeing the battle is lost she retreats with Malfurion to Stormwind knowing that Darnasus will be occupied by the Horde and this will be tough for her people but they will endure. She is also keenly aware that should others find her and her husband they surely will not hesitate to kill them both leaving her people with no leaders and no hope. Sylvanas then makes her final move to secure Teldrassil with Saurfang and her Champion Nathanos Blightcaller when she happens upon Captain Delaryn Summermoon who led the defense of Darkshore. Delaryn confronts the Dark Lady and in the last few moments Sylvanas realizes that without the head of Malfurion the Night elves will still have hope. 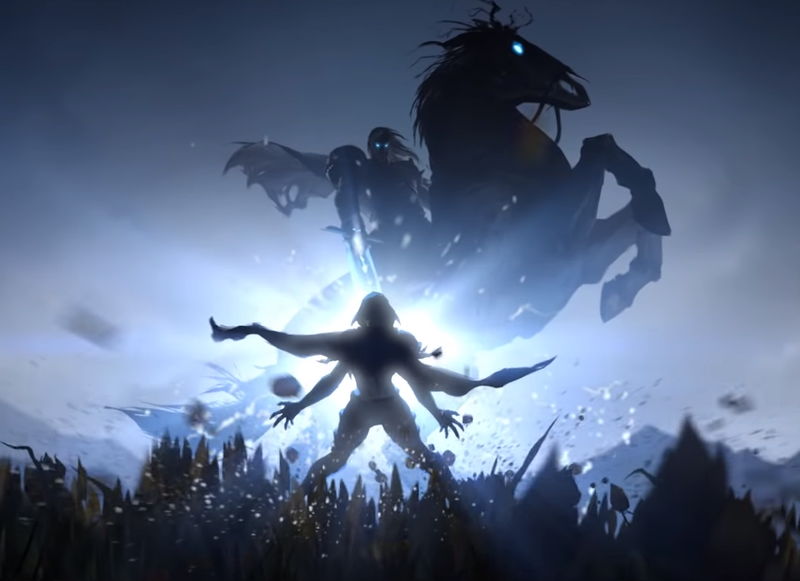 With that she determines to end both the ability of the Alliance to easily move Azerite, the blood of Azeroth, out of Kalimdor and to demoralise the Night elves by destroying their home the World Tree Teldrassil as shown in the video Warbringers: Sylvanas. With Darnasus in flames heroes, Sentinels, and priests rush to save as many civilians as they can. Smoke, heat and flames eventually overcome our heroes who are in turn saved by Mia Greymane. Genn Greymane, her husband, appears through the portal at the last moment and ushers her through the portal refusing to risk losing another of his family. He bows deeply to Astarii Starseeker and the other priests and Sentinels, who will stay behind till the very end, stating “May your goddess watch over you”. He then moves through the portal moments before you. We return to King Anduin Wrynn where he lets us know this will not stand and we will deal with Sylvanas! The week two content ends here leaving us tending our wounds and wounded trying to makes sense of all that has happened. 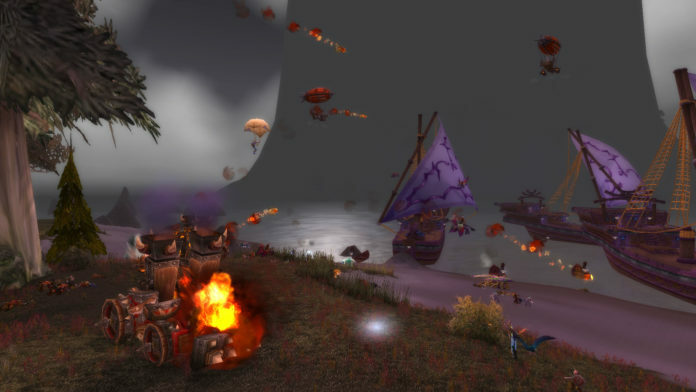 For those of us that are Night elves a part of us was lost on this day. The story has been both tragic and brilliant for me bringing with it such a mixed bag of emotions as one could expect from war. Others have been frustrated, hurt and even angry over what has been happening and this is completely understandable. Still these events have everyone talking about them and the lore more than I can ever remember in the history of this game. This has to be something for a story in a game to spark so much in so many people. The story, for sure, has been spread out across multiple media sources and this of course makes it more difficult to follow and yes this is a failing Blizzard Entertainment has had for some time, but the story itself is amazing. I am going to go out on a limb here a little with my own feelings on things. First Sylvanas has been cold, calculating and manipulative since she regained control of herself after her death at the hand of the Lich King Arthas. She has never had a problem with killing innocents or destroying everything in her path to achieve her goals. This can be seen many places in game like Southshore and Gilneas. She even disregarded the dangers of the Burning Legion to seek her own ‘immortality’ in the Stormheim quests. Does this make her truly evil… that depends on which side of her you reside. Many seem to feel with Warbringers: Sylvanas she has become one dimensional and reactionary, I personally don’t see this or believe it. Her anger and outburst at the end of the cinematic was completely understandable. Saurfang had not returned with Malfurion’s head. She knew she was now seriously limited in her options. Should she continue and take Teldrassil there would be extreme difficulty in keeping it. 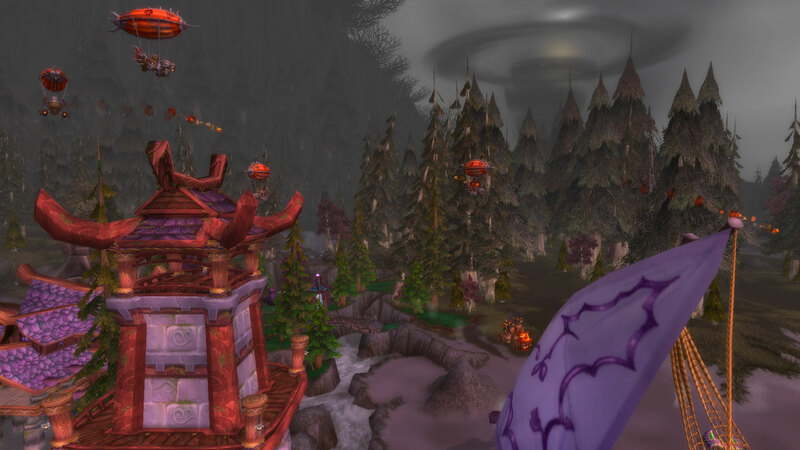 If the Night elves had any hope they would fight back hard resulting in many Horde losses. Further she could not just turn back or wait for another opportunity as she had gone too far for that already. Sylvanas remains as cold, calculating and manipulative as she always has been and she made a decision that she felt was best at the time. The moment of anger was at her own forces for not moving immediately upon her order. Their hesitation incited her wrath when she was already having to make a decision she would rather not have had to make. I really doubt anything a simple Night elf captain about to die could say would shake the Dark Lady and make her act out of a rash rage. Further I firmly believe we are not going to see her as a raid boss. There have been far too many nuances in the stories being told and a lot of that story has not even been revealed yet. I am quite sure there is much more to come than a simple Sylvanas is bad let’s kill her in 8.2. Just like many others though the story has deeply affected me and for that I am absolutely grateful. Trying in futility to save the people of Darnassus left me feeling a little distressed and lost. I even sat in Stormwind with the refugees near the embassy for about an hour just processing everything I had seen. 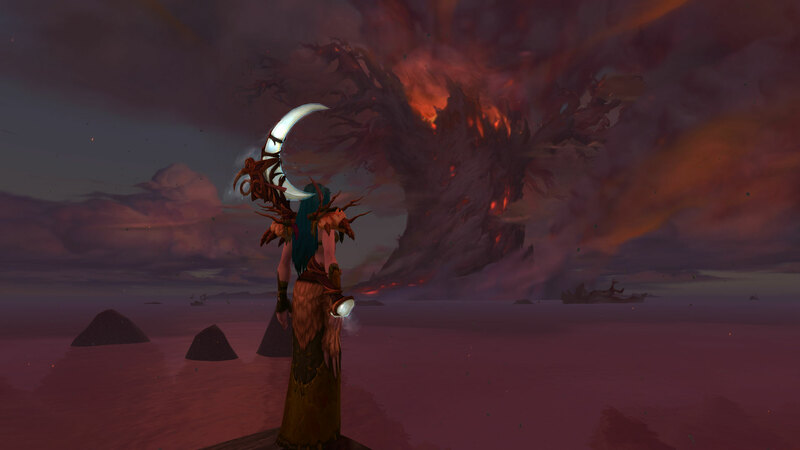 I will dearly miss Teldrassil and Darnassus. It was all that remained of the places I started at with this game and they, in many ways, felt like home. At the end of it all this is just a story. There are many parts that I struggle to understand but as a whole I love it, I’m invested in it and I am indeed excited to see where it goes from here. 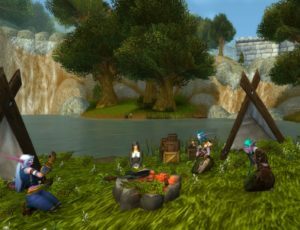 With all that said though, please Blizz have a heart and give us a nice home with lots of trees, gentle meadows and some lovely barrows sooner rather than later. A wee note. As I was about to finalise this article Blizzard Entertainment dropped a new unexpected cinematic on us “Old Soldier”. It is an emotionally charged look at where Varok Saurfang’s heart and mind is following the events of week two in the War of Thorns. It is utterly brilliant and I really hope we get something similar for the Alliance before we go on the offensive. The design and look of your blog is really great, Wildeheart! Really well thought of with the mix of pictures and text. I enjoyed reading this, thank you. I sat with the refugees as well. I too would really like to see a new home, similar to Teldrassil. What on earth should I do with Undercity? No thank you :/ I want a Night Elven home for all my Night Elves. I know – That was the first thing on my mind, when watching the cinematic with Saurfang. “Great! 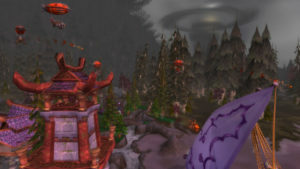 When is the Alliance one with the Night Elves coming out?” But part of me wonders, if the Saurfang cinematic was not meant to be aired next week instead. Thank you very much for the kind words. I’m really glad you enjoyed it! I’m not really sure it was. The cinematic itself would have taken a year to produce. I think they have a very solid plan and release schedule in mind. The amount of hype and controversy all of this is causing is doing exactly what is intended I think. More people than ever before are talking about this and even people that do not roleplay are looking at their own characters place in this game world. That is player investment at it’s best. I hear what you are saying. I hope so. I hope what we have seen is not just a shock effect done for the shock effect.